Thank you for the scan ..
Ooooh, wow, I like this, cool. Grell?! O__O OMG! Thanks a lot! I like this one to! grell! 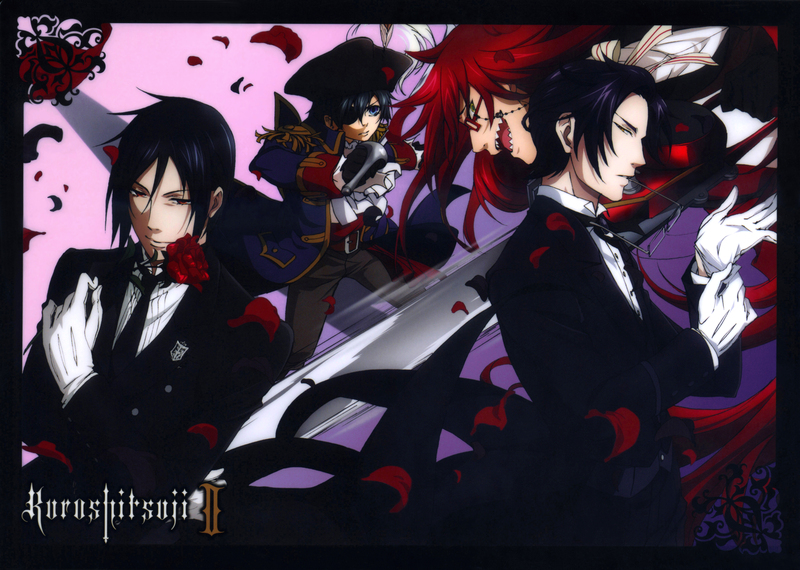 Claude and Sebastian looks very cool! Thanks for sharing! Whoa! The return of Grell! Love Ciel's pose. Sebastian and Cloude are so attractive. fab pic, thanks for sharing! Sebas-chan, Grell, Claude... So hot!